Decentralized Applications | What is a DApp and How Does it Work? A decentralized application, or DApp, is an application that does not rely on a centralized authority to connect the user and the app. Decentralized apps are an alternative to centralized apps, which are what most apps are today. Centralized apps rely on third parties such as the Apple App Store, or the Google Play Store to connect users with apps. Decentralized apps have no third parties acting as intermediaries. The front end of decentralized apps work very similarly to centralized apps. However, it is the back end that is different. With DApps, the app is connected to a blockchain, such as the Ethereum blockchain instead of the app being connected to a centralized server, owned by an app store company. Because DApps are connected to blockchains, all data can be stored, and all financial transactions can be made through the blockchain. This completely eliminates the need for a third party to oversee these things and represents a completely new business model for apps on the internet. Ethereum is the blockchain that is leading the way forward for DApps, and many DApps are now being created to run on the Ethereum blockchain. Ethereum’s smart contract features help DApps to run effectively on its blockchain. This is one of the features that draws DApp developers to the Ethereum blockchain. What are the benefits of DApps? One of the most important benefits of DApps is that they are censorship-proof. This means that no third parties will be able to remove comments, features, code, or any other aspect of or that is associated with a particular DApp. This will essentially help the internet to be more free and it will liberate developers and app users from being controlled by third parties. This is, within the limits of the law, of course. DApps will not make things legal that are illegal. They just amplify the power of developers and app users to not be censored. In the United States, free speech is protected. However, in some places around the world free speech not allowed, or is highly censored. For example, nations like North Korea, Burma, and Libya have major controls on free speech. So, if DApps make it to these nations, it could potentially provide a way for citizens to communicate in a much freer manner. Another benefit of DApps, and one that could also battle censorship is anonymity. Blockchain technology, in general, usually relies on cryptography and allows for the anonymity of people who use it. This means that people who use DApps could potentially have complete anonymity while they are using the apps. Yes, the data for their app transactions would be kept on the block chains, but it would be encrypted and anonymous. In this way, DApps are very similar to cryptocurrencies such as Bitcoin and Ethereum, which provide anonymity through encrypted data. An additional benefit of DApps is that they can accept cryptocurrencies. Most standard, centralized apps do not accept cryptocurrencies, at least for the time being. However, this is not the case for DApps. Oftentimes, DApps are designed to accept the currency for the blockchain they run on. So, if a DApp runs on the Ethereum blockchain, then it will typically accept Ether, if it runs on the Bitcoin blockchain, it will typically accept Bitcoin, etc. By accepting decentralized currencies like Bitcoin and Ethereum, DApps go even further towards decentralization. This can be very desirable for people who prefer to use cryptocurrencies over fiat, paper printed national currencies. A final benefit of DApps is that they have the potential to create new ways of generating income for users. This is because with DApps, it will be possible to do things like offer spare computing power for rent through a DApp. Also, users may be able to get paid for conducting searches on search engine DApps, etc. The world of DApps will most likely create many new business opportunities and in this world, users could potentially benefit financially much more than they do with standard, centralized apps. This is largely because with standard, centralized apps, the user does not control his or her data. Currently many DApps are being built, and many have already been built. For example, there are over 870 DApps that have been built on the Ethereum blockchain. These apps are centered around a wide variety of topics. Some of the DApps on the Ethereum blockchain include Demeter, a “central hub to rent and farm microfields anywhere in the world,” Acebusters, a poker platform, Ticketwicket an app for creating and selling tickets to events, Liquid, a platform that lets you convert Ethereum to U.S. dollars, etc. Basically, an entire new market is being built for DApps. This market will not have the strict requirements of the Apple App Store, or other application stores. This is because there will not be a company who watches over and regulates the apps. This is exciting in that it can allow users and app creators to connect directly. However, it also means that there could be quality control issues for apps in this new marketplace. As with any marketplace, consumers and users will most likely gravitate toward the apps that provide the best quality for the most reasonable price. So, the quality control issue will most likely just be worked out by free market economics. In fact, the DApp market may soon become one of the freest markets in the entire world. There are a number of important challenges that DApps currently face, and will most likely continue to do so for a period of time. One of the most crucial challenges is that because so many DApps rely on cryptocurrencies like Bitcoin and Ethereum, they can also rely on users to understand cryptocurrencies and to be comfortable using them. Unfortunately, even though cryptocurrencies are growing very steadily, many people still do not understand them, do not own them, and are just generally uncomfortable with them. For DApps to reach their full potential, cryptocurrencies must first gain more mainstream acceptance. Part of the reason why this is the case is because unlike fiat currencies, or even gold and silver, you cannot physically hold a Bitcoin, an Ether, a Litecoin, etc. Cryptocurrencies only exist as pieces of data stored on the internet. Large portions of the global population simply have not wrapped their head around this concept yet. However, more and more people are using the internet as smartphones and computers become more affordable. The higher the number of internet users, the more that cryptocurrencies will likely be used. Also, as time goes on, increasing numbers of people will most likely become comfortable with cryptocurrencies and will start using them more. This can help the DApp market to grow. Another challenge that DApps could potentially face is heavy use by criminals. 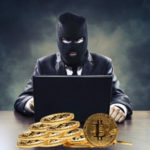 The anonymous, encrypted, and decentralized nature of DApps can be very appealing to criminals as well as to technology and freedom-loving individuals. This means that in the future, the DApp market could see DApps created that are similar to Silk Road, the narcotics trafficking website that relied on Bitcoin and that was recently shut down. If criminals begin to start creating DApps and using them in large numbers, then this could be a real problem for the industry. It could also lead to increasing amounts of regulation from government agencies, which could potentially present additional challenges. So, the DApp industry is not without its challenges. However, for the time being, it is still progressing quite steadily, and many new DApps are being created all of the time. If these apps start integrating atomic swaps, then it could potentially make them even easier for users to use, as payments could be made in more than one currency. Atomic swaps allow users to easily exchange cryptocurrencies. For now, the future of DApps appears to be very bright. Decentralization seems to be a trend that is on the rise. Ever since the major housing market crash of 2008, in which roughly $10 trillion of wealth from Americans alone was lost, many people have lost a certain amount of trust for major institutions like big banks. The first cryptocurrency, Bitcoin, was created directly in the aftermath of the 2008 financial crisis. In the past nine years, cryptocurrencies have gone from having a market cap of zero dollars to one that is worth $457,796,350,663. The fact that the cryptocurrency market has grown so quickly to be worth hundreds of billions of dollars is very encouraging for DApps. This is because it means that the move towards decentralization is a trend that is likely going to continue to be strong for a while, and which could very easily move beyond cryptocurrencies and into other industries like DApps. Smartphone usage is also at an all-time high. In fact, it is estimated that 2.32 billion people use smartphones. By the year 2020, this number is projected to be 2.87 billion. The more people there are who use smartphones, the more popular that DApps will likely become because applications are commonly used on smartphones. Naturally, if major app stores such as the Apple App Store, and the Google Play store start to use app market share to DApps, then they may try to fight back in some way. This could include using their own blockchain technology, supporting more apps that pay users for things like searching for topics on search engines, or other similar schemes. Anything that they can do to offset some of the appeal of DApps could be used by them to prevent losing market share. However, because app stores are centralized, they will never be able to truly compete with DApps in terms of decentralization, and it is decentralization that is the most appealing part of DApps to many people. So, in the future, it is very possible that DApps could win over significant portions of the app market just as cryptocurrencies are beginning to win over significant portions of the currency market.